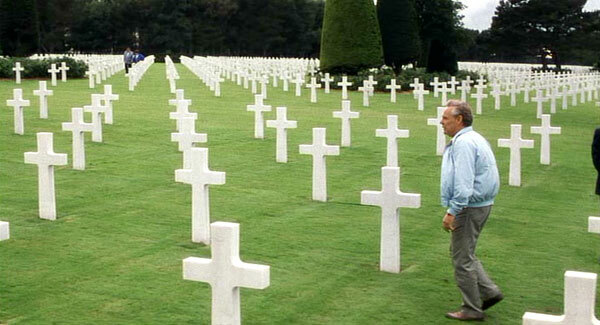 The Normandy American Cemetery and Memorial, operated by the American Battle Monuments Commission, is located at Colleville-sur-Mer, France on a cliff overlooking Omaha Beach. 9,386 servicemen and women, of which 307 are unknown, are buried in ten grave plots. The names of 1,557 soldiers missing in action are also listed. 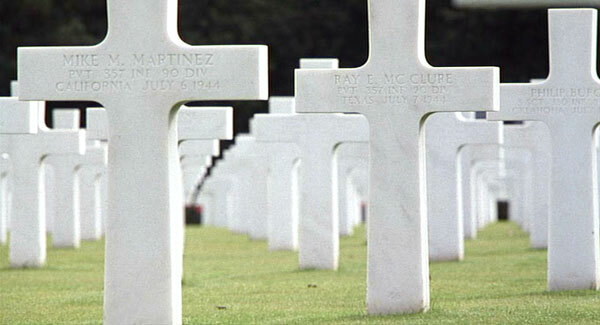 The cemetery originated as the American St. Laurent Cemetery on June 8, 1944, as temporarily established by the First Army. 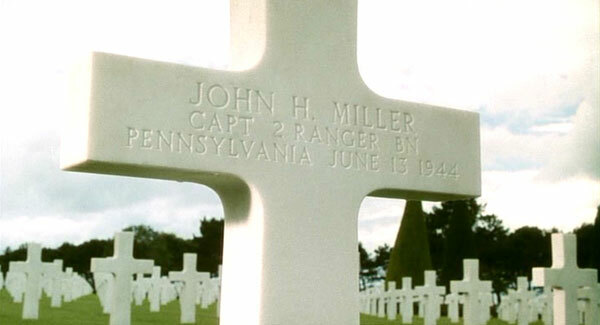 Decades after his life was saved at Ramelle back on June 13th, 1944, James Ryan visited the Normandy cemetery and the grave of Captain John H. Miller, the man who had lead his Ranger squad in search of Ryan. 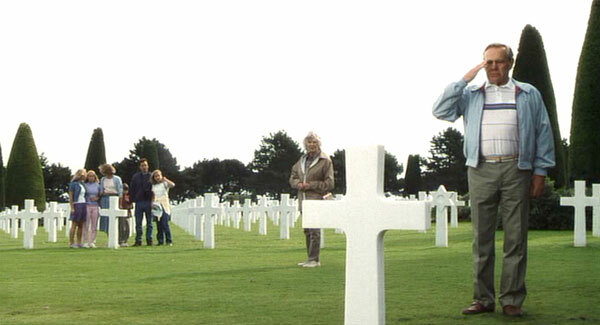 For the filming of the opening and closing scenes featuring the elderly James Ryan and family at the Normandy Cemetery, Captain Miller's fictitious headstone was placed in Plot F near the graves of the Niland brothers. Although not planned, the location of Miller's headstone was directly in front of the headstone of Sergeant Richard F. Miller of Pennsylvania.